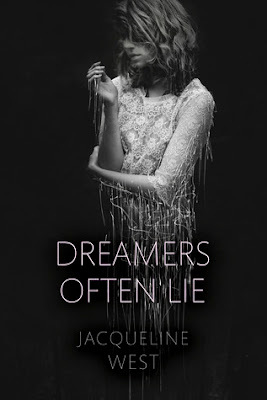 Jacqueline West, an American author, pens a thoroughly gripping YA story, Dreamers Often Lie that narrates the tale of a young teenage girl who after suffering from a dangerous skiing accident faces from disturbing dreams which is hard to distinguish on whether they are real or not. Moreover, her dreams her inspired from Shakespeare's famous play, Romeo and Juliet, and Hamlet. She keeps seeing a blue-eyes Romeo as well as Shakespeare around her, but then her dreams started to become so real. And gradually her life becomes like Juliet's. After suffering from a life-taking skiing accident, Jaye faces the aftermath of this accident with a deadly head injury that leaves her with realistic characters and images from Shakespeare's famous plays, that makes her feel confused on which is real and which is not. In such a hazy condition, she meets a new boy, named, Rob, who she feels an immediate attraction to. Things get complicated when the most handsome boy of the school, Pierce wants to protect Jaye from Rob. Laced with family drama and young love which has a connection and similarity to Romeo and Juliet, the story is a complete page-turner. The writing of the author is exquisite the whole mood is set as dreamy from the very first page. At times, it became hard to differ from reality to dreams with so many characters from Shakespeare kept pouring in, in the form of Jaye's friends or family members. The pacing of the book is really fast as the story is captivating from the beginning till the very end. There are lots of mysterious aspects in Jaye's family story, that kept me anticipating till the very last page. The narrative is equally engaging and fabulous. The story has a lot of breath-taking moments and so many mystifying secrets that alike Jaye, kept me confused and curious till the very climax. The dialogues are often inspired from Shakespeare's plays and as Jaye is on the lead role of her school drama that is playing, A Midsummer Night's Dreams , so most of the scenes folded around this play. I imagined myself inside a world filled with Romeo, Paris, Juliet, Hamlet, Ophelia, Titania. The depictions from these plays are done so vividly by the author, as she captures the feels and the atmosphere of that era into her story diligently. The characters of this book are extremely well-developed. The demeanor of the main character, Jaye is inspired from realism and her challenges and the problems she face due to a head injury are very genuine. The character of Rob not only made Jaye for fall for him, but I too fell for him, especially for his brooding, mysterious and caring features. Pierce did not strike me an interesting right from the very first moment, his demeanor towards Jaye felt like he was trying too hard to please her. The rest of the supporting characters are well-structured and the author gave them enough space to highlight their strong features. The love between Rob and Jaye is sweet, something that is undeniable and a bit passionate too. It felt like the author has poured all her best emotions into this story to make it poignant and evocative. Overall, this book provided me with an unique experience of love, family secrets, friendships, and dreams. This is definitely a must read for all that will make you feel deeply and will keep you intrigued till the very end. Verdict: An enthralling YA fantasy story that is hard to miss. Courtesy: Thanks to the author, Jacqueline West, for giving me an opportunity to read and review her novel. Jacqueline West is the author of the award-winning middle grade series The Books of Elsewhere. The Books of Elsewhere, Volume One: The Shadows (2010) garnered starred reviews, several state award nominations, and a spot on the New York Times Bestsellers List. The series is published by Dial Books for Young Readers (a division of Penguin Random House) in the USA and will also be published in Italy, Spain, Greece, Turkey, Indonesia, Sweden, Norway, France, Germany, Russia, and Catalonia. Just loved this dreamy story. Very nice review!